OMNI-V is a Tex 30 (approx. 40 wt.) 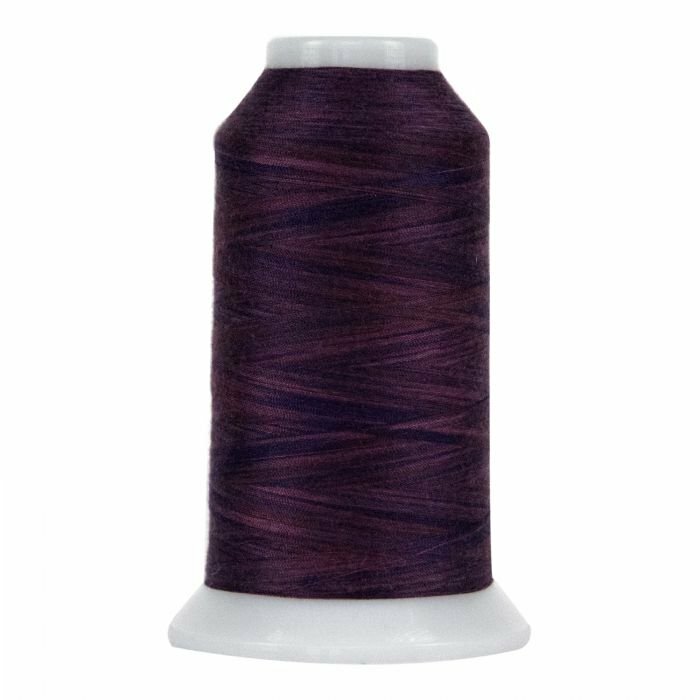 poly-wrapped poly core thread we have designed for quilting. Available in 2,000 yd cones, these beautiful, variegated colors have excellent color tone and change every inch. High strength and a subtle matte finish make OMNI-V an excellent quilting thread.